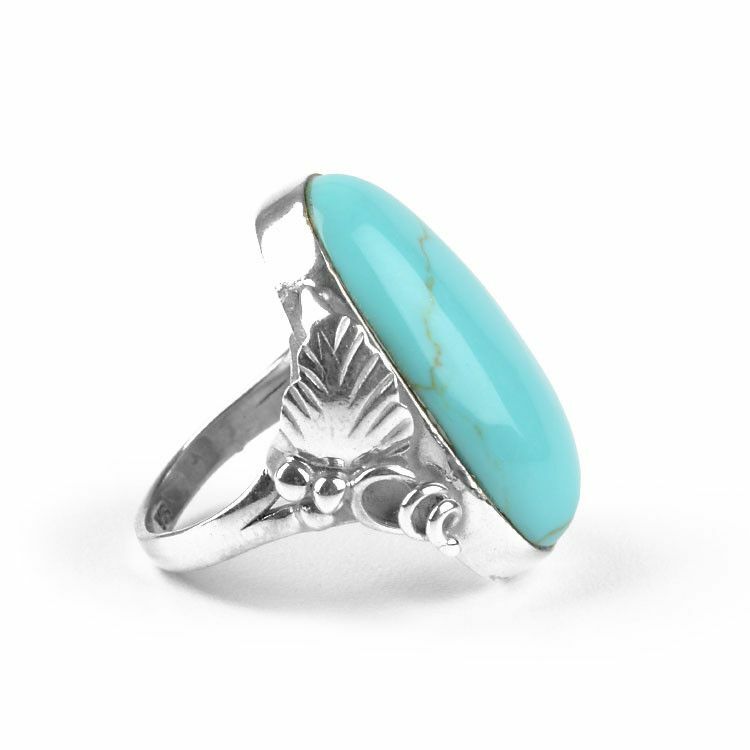 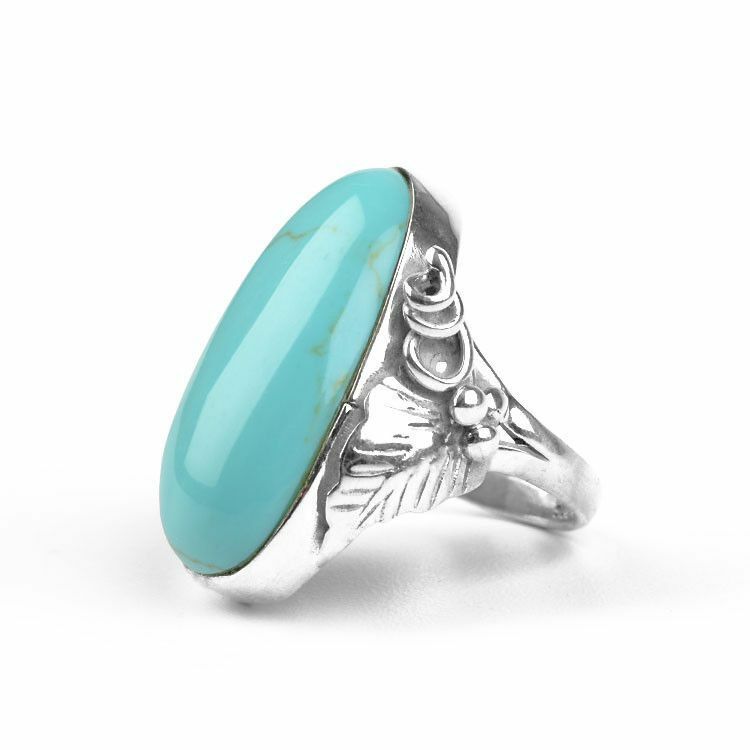 This beautiful turquoise ring features a stone that is nearly 1 1/4" long. 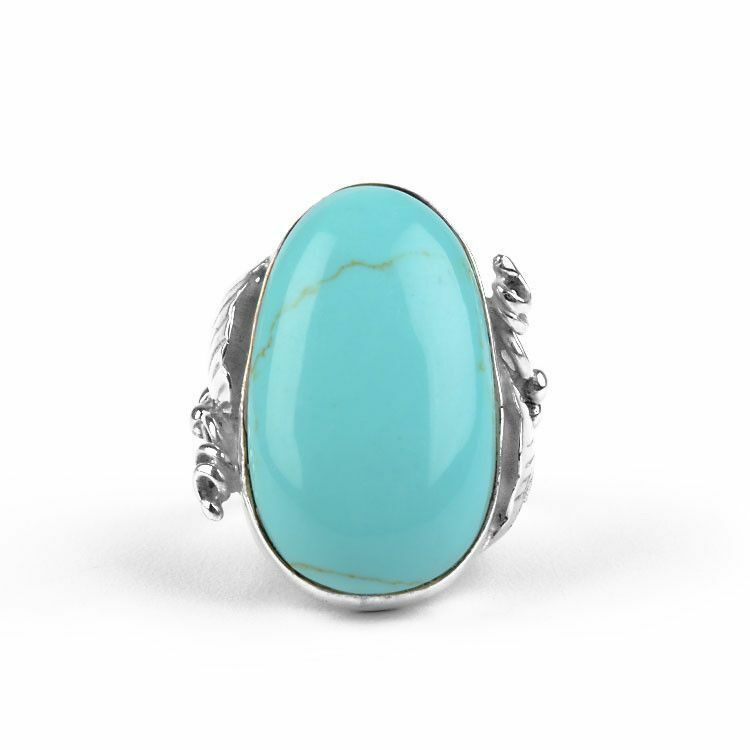 The egg-shaped stone is also nearly 3/4" wide at the bottom and 1/2" wide at the top. 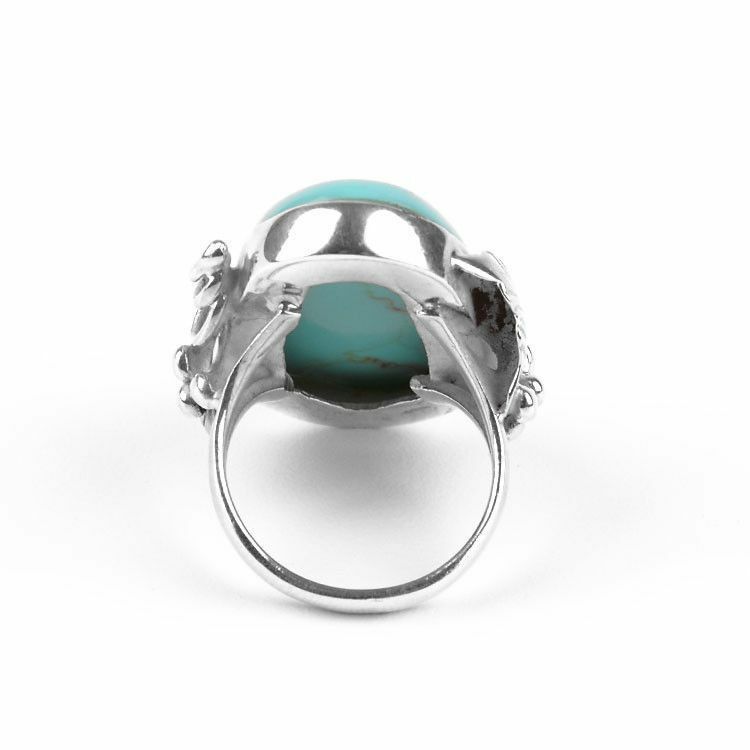 The blue-green gem is surrounded by a detailed and textured foliage arrangement consisting of leaves, balls, and curly-cues. 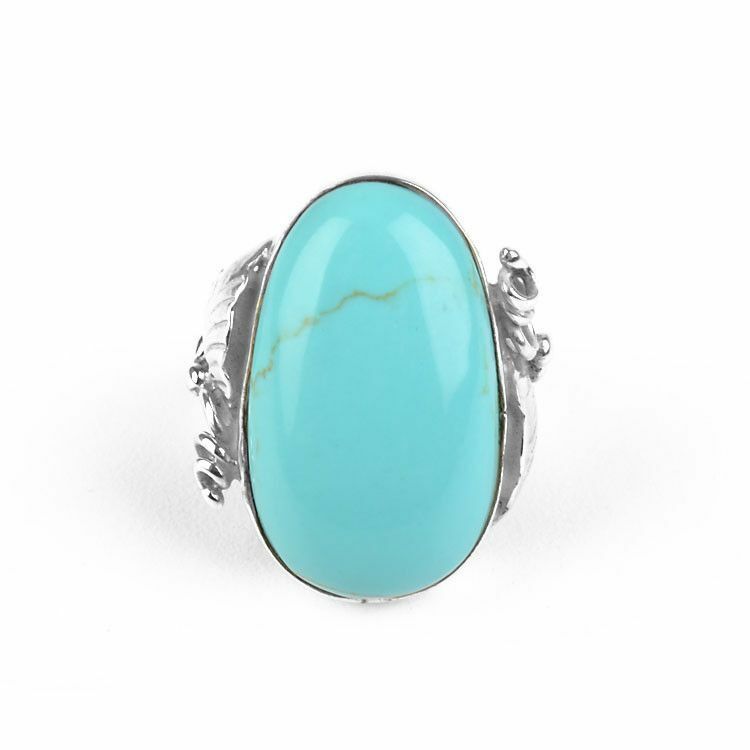 This large and comfortable ring is an exciting turquoise jewelry choice for many. 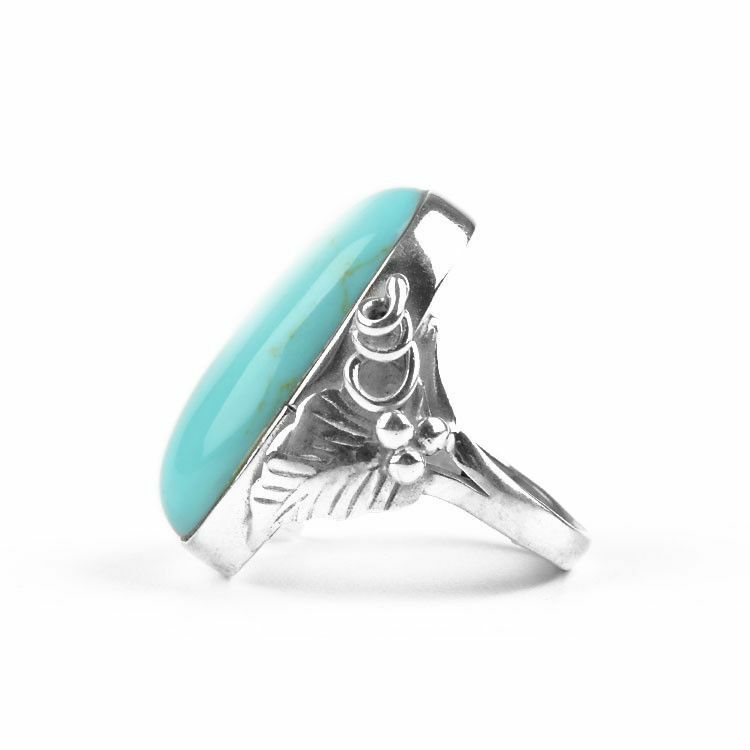 Made with natural, polished turquoise and sterling .925 silver.